Katrina and I both recently updated our blog headers, so here's our latest Swap & Style with a brand spankin' new banner as well (pretty, huh?). We picked a good time to swap clothes because you can actually see how each of us styled a piece for different seasons. 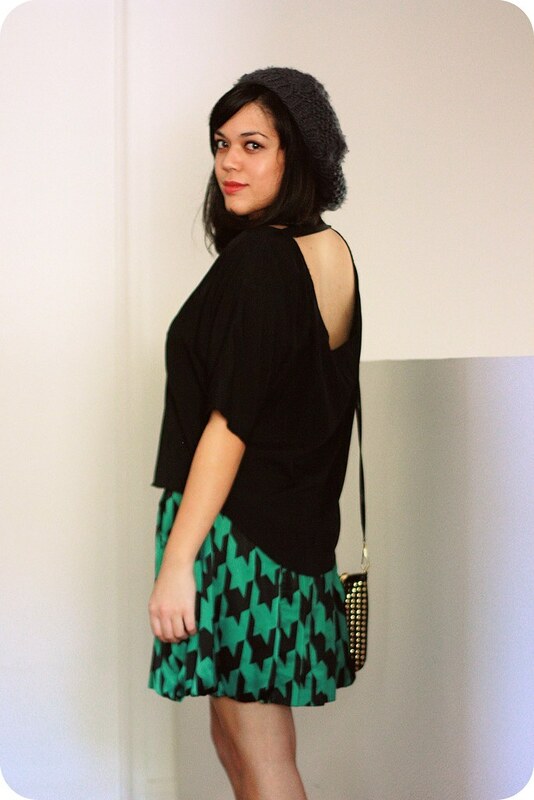 Katrina let me borrow this fun green and black bubble skirt. 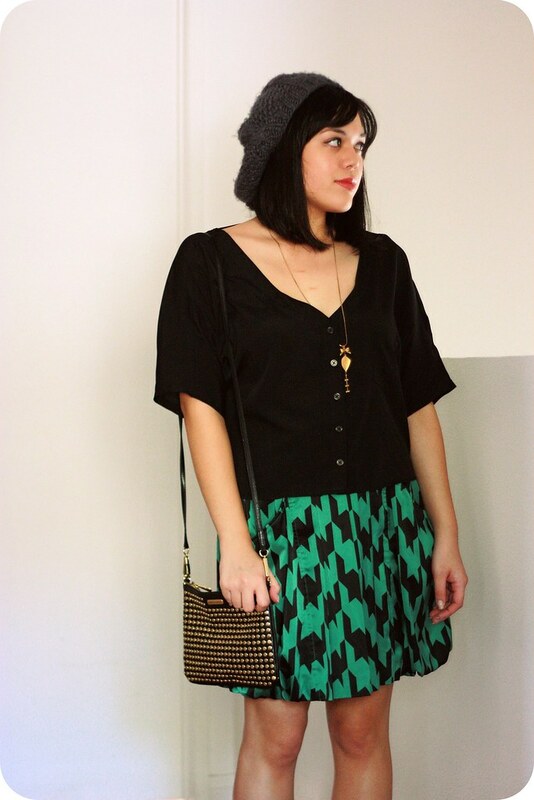 The oversized houndstooth print was my favorite thing about it (oh, and the pockets, of course). It's kind of dressy because of the satin material, but I wanted to style it in a casual way for the weekend. 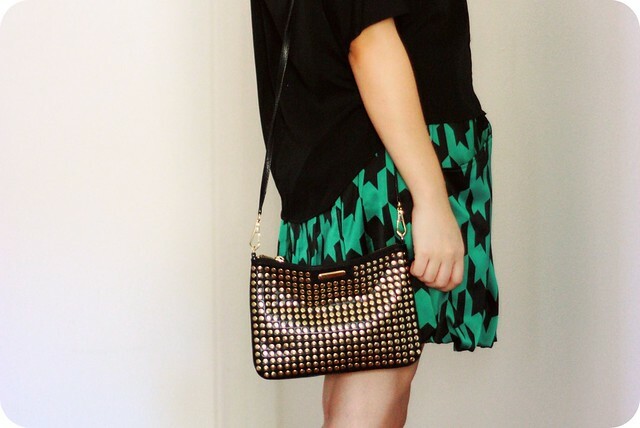 I wore it with a slouchy black short-sleeve blouse, a gray beret, and my favorite black ballet flats. 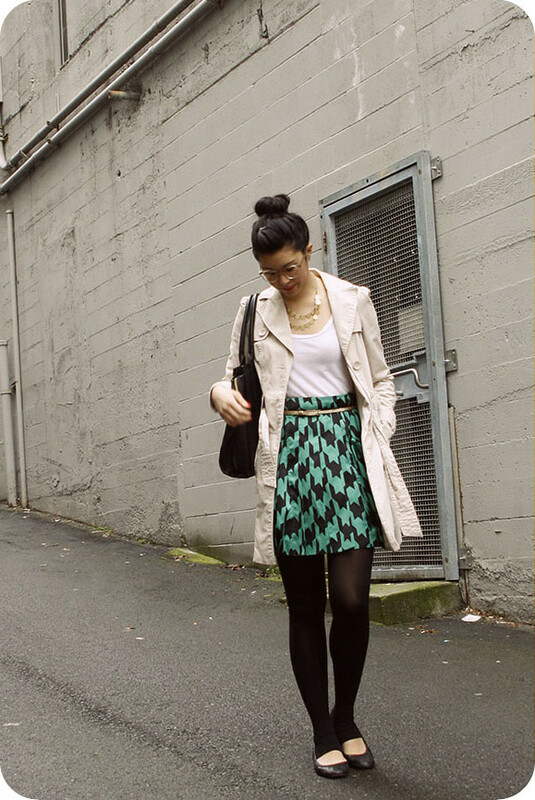 I love how Katrina styled it with light neutrals and layers for the chilly weather. Her tights and topknot remind me of a ballerina, and the gold accents add just the right amount of sparkle! 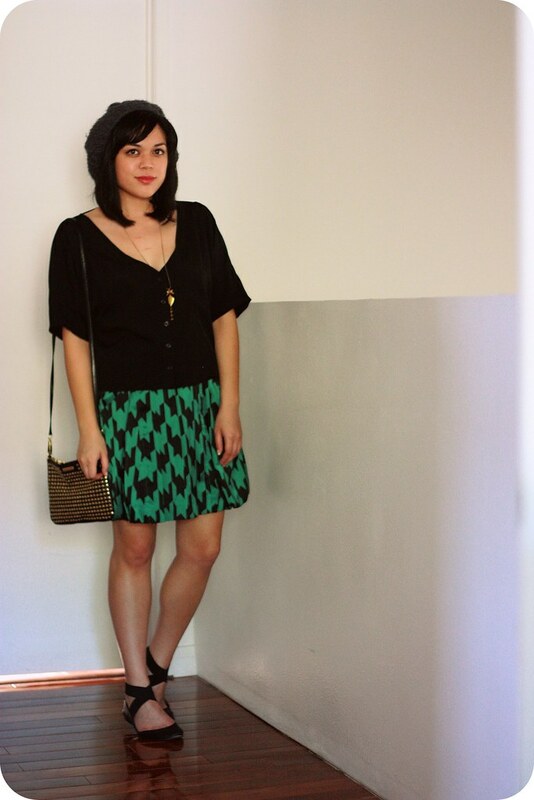 You can visit her blog for her outfit details (if you're like me, you need to know where those tights are from). Part II will be posted next week! 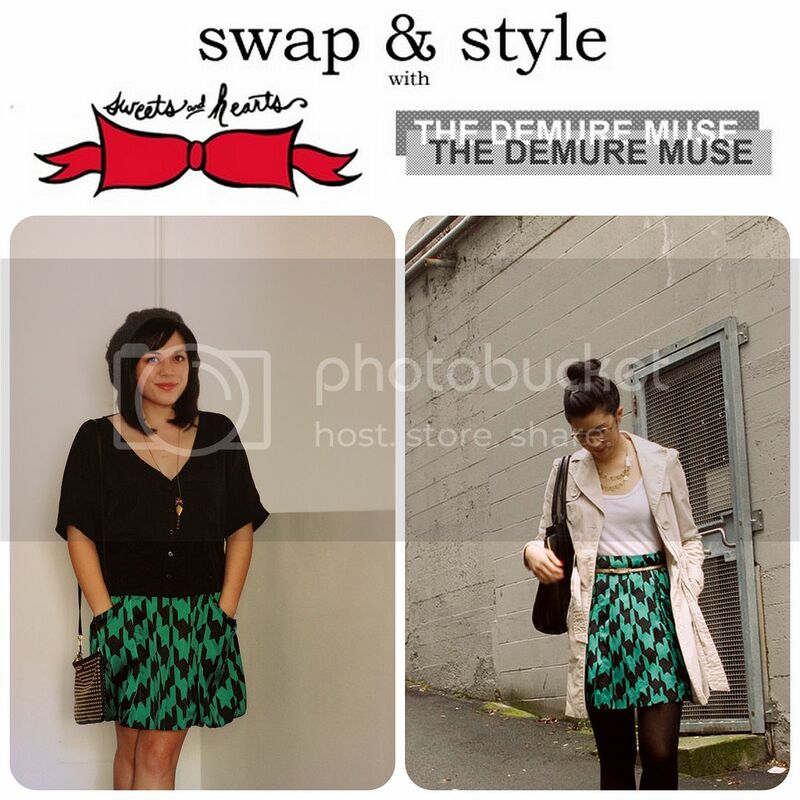 You can view past Swap & Style posts here.